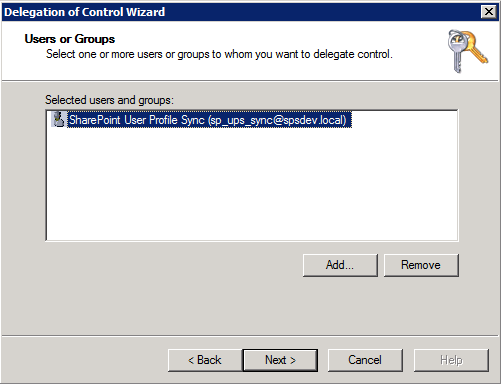 Profile pictures can either be stored in Active Directory or in SharePoint. The main reason for placing the profile pictures in SharePoint is for easier management, self-service and maintaining high quality images. Storing the pictures directory in Active Directory gives some restrictions on both physical file size and pixels. 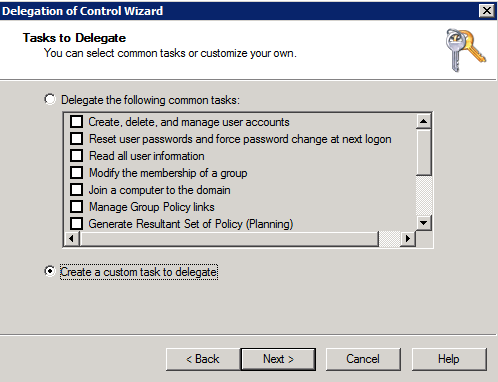 Select “Delegate Control” on the top level in Active Directory. Locate the system account performing the synchronization. Choose “Create a custom task to delegate”. 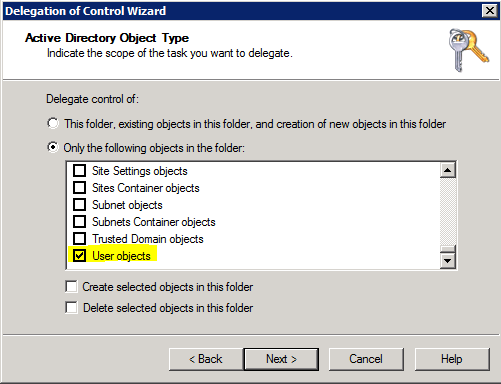 Choose “Only the following objects in the folder” and “User objects”. Choose “Property specific” and “Read thumbnailPhoto” and “Write thumbnailPhoto”. Finish the wizard and the delegation should be fine. 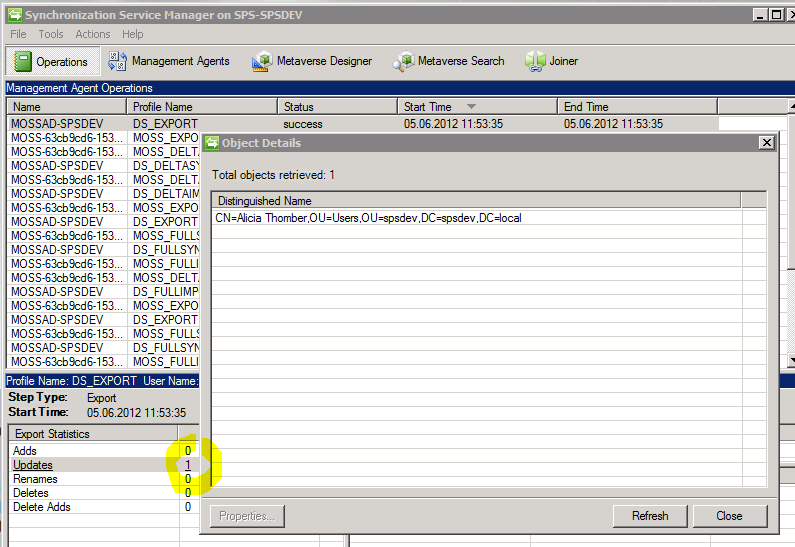 Locate the user profile property named “Picture” in the user profile service application in Central Administration. 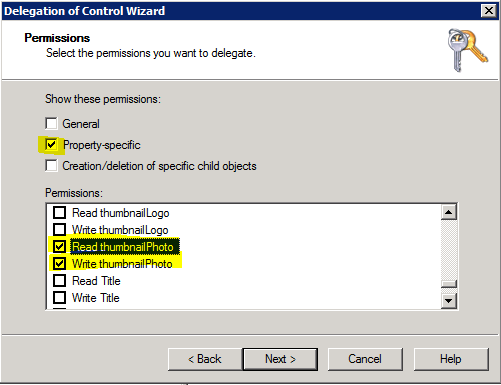 Edit the property and set up an export to the Active Directory field “thumbnailPhoto”. This should appear like this after choosing “Add”. Run a full synchronization of the user profiles. To verifiy the result we have updated the profile picture of one user, and browsing the status in the MIIS Client show that the picture was successfully exported for the user. This can give an error message “permission issue” when checking the status in the MIIS client (C:\Program Files\Microsoft Office Servers\14.0\Synchronization Service\UIShell\miisclient.exe). 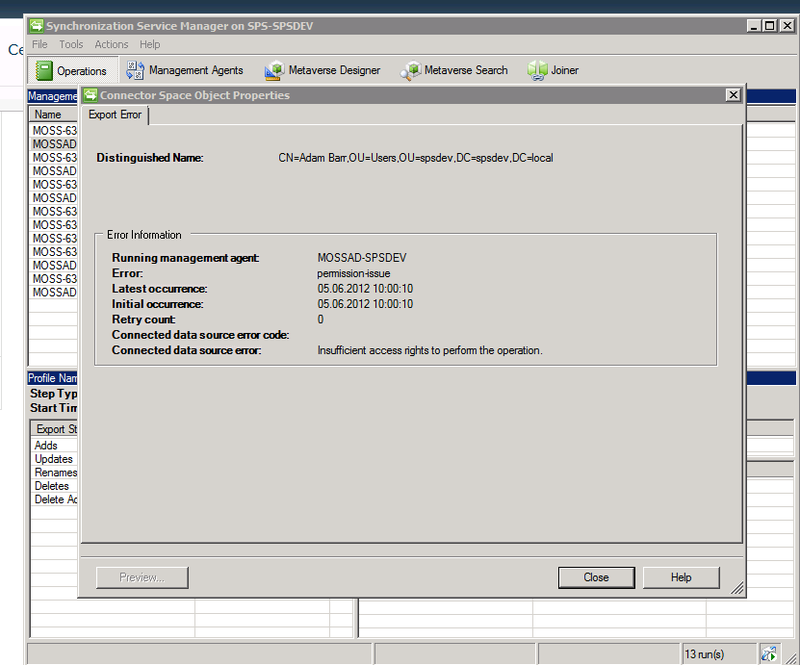 This error can appear when the system user running the synchronization haven’t been delegated the necessary permissions in Active Directory as described in the beginning of this post. After successfully setting up a synchronization of profile pictures from SharePoint to Active Directory the images can be used throughout the company in other applications like Lync and Outlook.